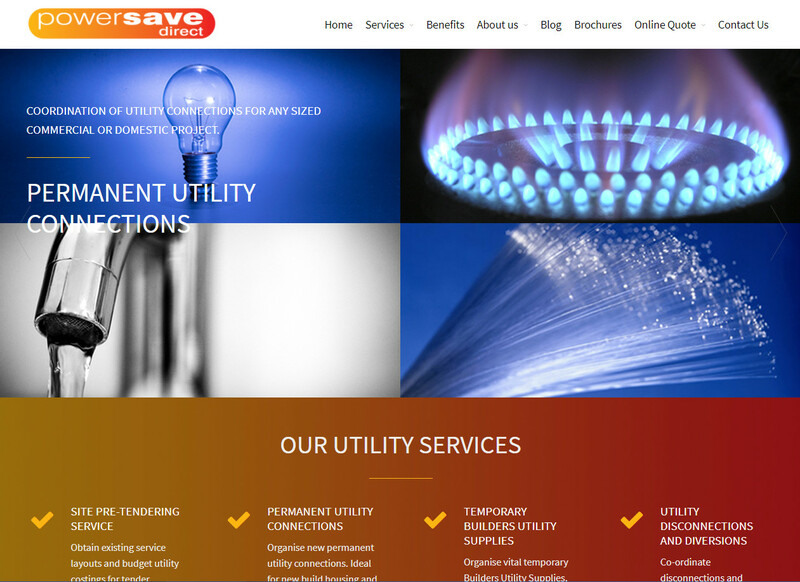 Utility connection experts, Powersave Direct, has released their new modern and easy to use website. The new website has been built around its customers need for a more user-friendly experience, resulting in easier navigation and functionality. The site now includes a range of downloadable brochures and scan back forms, along with a more intelligible online quote page. The quotes page now offers customers a choice of two forms to fill out with each one more applicable to the type of quote required. With this new approach, customers not only benefit from a simpler and quicker entry process, but they also benefit from a quicker quote turn around time as the company has the information it needs first time. When now viewing the website, more extensive information can be viewed on the company’s services. In fact the four main core services provided; permanent utility connections; site pre-tendering; utility disconnections and diversions and temporary builders utility supplies; each now has its own page with more detailed material devoted to each respective service. Furthermore, an FAQ page has been created as a quick reference point for customers who wish to quickly find out additional details on Powersave Directs services. The new blog is now much friendlier to the eye and will be regularly updated with interesting news and features on the company and sectors it works with. Powersave Direct are the UK’s leading utility consultancy with a client list that includes some of the biggest names in UK construction. The company specialises in co-ordinating utility connections, disconnections and diversions of gas, water, electricity and BT supplies with a maximum of speed, professionalism and effort. They also provide the most up to date plans of existing utility supplies surrounding a site and budget costing’s for tender purposes. © Powersave Direct 2019. Allegiant theme by CPOThemes.